Dubai Property Festival (DPF), a three-day sales and purchase event which opens next month at the Dubai World Trade Centre, will contribute to stimulating sales and purchases in the emirate’s real estate market, said the organisers. The festival is being organised by DLD through its investment arm, the Real Estate Investment Management and Promotion Center, in partnership with International Property Show (IPS). To be held from April 9 to 11, the real estate business-to-consumer (B2C) sales expo will see top developers, brokers, banks, mortgage providers and financial institutions taking part in it, said a statement from DLD. DPF coincides with a series of other international events aimed at attracting investment in the UAE. The event is expected to boost buying and selling activities among a large number of developers, brokers, banks, mortgage providers and financial institutions, and home buyers. It is part of DLD’s ongoing efforts to support the real estate sector and create a win-win situation for all stakeholders in the property development industry, including developers, brokers, buyers, investors and mortgage providers, it added. Dubai leads the global real estate market with up to 8 per cent return on investment in rental yield. “By creating a secure and welcoming environment for real estate investment, which involves protecting investor rights through escrow accounts, we help foreigners to benefit from flexible payment plans and more attractive investment offers in the real estate sector,” stated Bin Mejren. The average return on investment achieved on apartments in Dubai last year was seven per cent, while villas made five per cent. 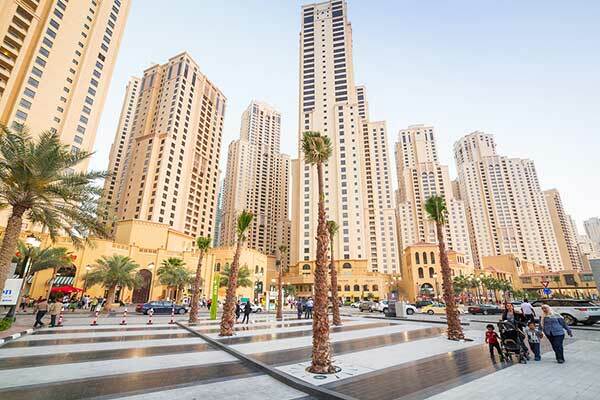 This was achieved despite an overall softening of rent and sales prices, according to research from Bayut.com, a Dubai-based online property listing site. “With new supply across the residential, commercial, hospitality and retail real estate sectors, investors stand to benefit from attractive pricing and payment plans that will help them to multiply their return on investment,” noted Rashid. DPF, she stated, provides an excellent opportunity for investors, developers and buyers to get a closer look at the emirate’s efforts to create a secure real estate environment. “Hosting DPF during ‘Real Estate Investment Week’ reinforces confidence and transparency in the market and helps investors to take the right decision to buy property in Dubai,” she added. “While the majority of cities attract foreign direct investment (FDI) to some extent, Dubai is among the world’s top destinations for FDI,” said Al Shezawi. “DLD recorded a total of 69,000 property transactions worth more than Dh285 billion ($78 billion) in 2017,” he stated citing a recent global report by Jones Lang LaSalle. The property festival will be part of ‘Real Estate Investment Week’, which will feature a number of events promoting real estate investment and gather investors from different countries to discuss ways to boost investment, he added.